biking up the steep streets of telegraph hill is one beautiful challenge i found myself in this afternoon. first, there is the obvious rise of the hill, your legs want to give way, but you go on somehow. second, gasping for air, as i reached the top of the hill, i turned around and there it was. a sight to take your breath away, or whatever was left of it. 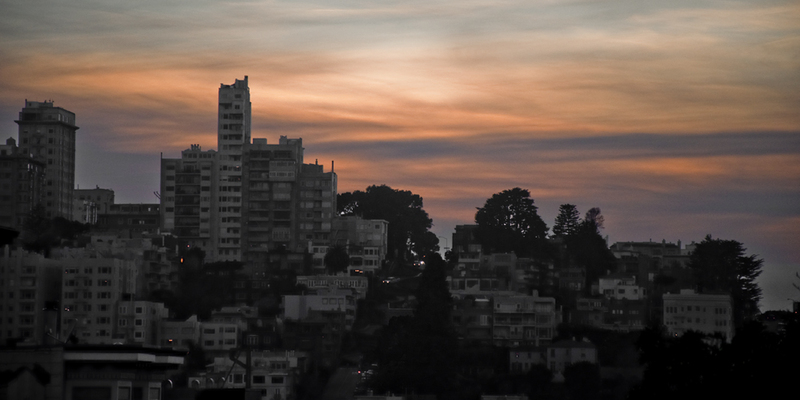 the sun had left its marks on the western skies, a symphony of color cast against the theater of north beach below.